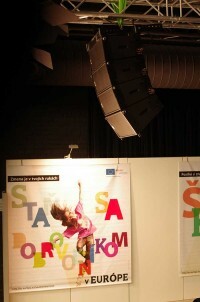 Back in 2008 several Slovak cities competed to become the European Capital of Culture for 2013, and took part in a competition. Eventually the city of Košice (from the east of Slovakia) was awarded this prestigious title. 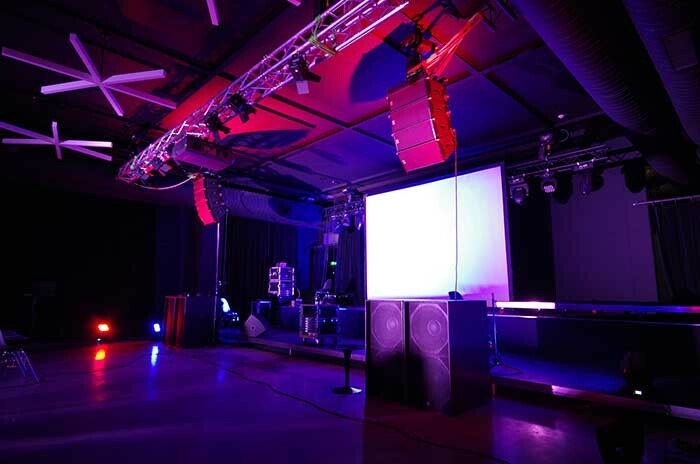 The company Rock Centrum, Martin Audio’s territorial distributor, won the tender to supply the main sound system at the headquarters of the organisation, the Support Center of Culture and Creativity (CPKK). Situated in the Kulturpark (a revitalisation of old military barracks), it has been built at the cost of €23.8m. The mainstay of the complete public address consists of 20 W8LM (in two hangs of 10 elements per side), with two W8LMD downfills at the base of each hang. Providing LF extension are 10 WS218X subwoofers. 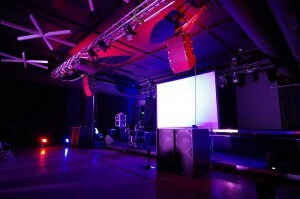 In addition, 14 Martin Audio Blackline F12+ and six F15+ have been used for floor monitors and sidefills respectively. The system is driven by six Powersoft K10 amplifiers and 10 Powersoft K2 modules, while mixing consoles consist of three Allen & Heath ILive T112 and T80 with together with various stage boxes (also brands distributed by Rock Centrum). However, the system has been cleverly designed so that it can be used either independently, or as separate systems in the indoor halls, and as the main sound system in the courtyard of this complex. For example, when used in the two identical 500-capacity halls simultaneously the system simply splits in two. Also hangs involving eight W8LM/D can be flown above the courtyard stage, along with six WS218X — but this can be extended in the event of larger outdoor events, to take in the full system. This enables the leisure complex to host a versatile programme of concerts, workshops, lectures, performances, screenings and exhibitions. The sound system was officially launched at the main opening ceremony concert by the band Pražský výber. Rock Centrum say that the W8LM line array is proving very popular and its reputation for delivering excellent sound quality has been spreading quickly. Meanwhile, the distributor is celebrating its own 21st anniversary, reflecting on a long line of sound project successes throughout the region.